Dozens of legendary Porsche drivers and hundreds of championship-winning and classic Porsche race cars will be in the spotlight as Porsche marks its 70th anniversary with the Thursday start of Rennsport Reunion VI. 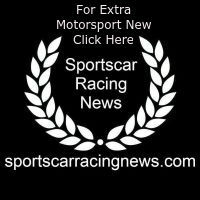 Tens of thousands of motorsports enthusiasts are expected at WeatherTech Raceway Laguna Seca near Monterey, California, for the festival that takes place every three to four years, hosted by Porsche Cars North America (PCNA). Rennsport started in 2001 as a way to honor the Porsche motorsports legacy. It has become the largest gathering of Porsche cars and fans in the world. The 2018 “Marque of Champions” theme highlights the legends of the brand: championship-winning Porsche race cars, the engineers who designed them, and the men who drove them to victories around the world. This year has special meaning because it is the 70th anniversary of the first Porsche sports car, the 356 “No. 1” Roadster, which was registered on June 8, 1948. Approximately 50 legendary drivers, 500 historic and customer cars, including 350 cars in competition, and the full Porsche Factory Team will be in attendance. As a highlight, the original 356 “No. 1” Roadster will be on display, giving all Porsche enthusiasts a look at the car whose shape, dynamic design, and lightweight construction has inspired all Porsche sports cars. 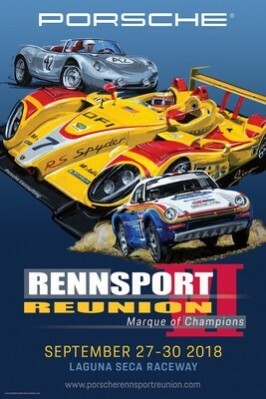 The sixth installment of Rennsport comes after more than 60,000 Porsche fans assembled for Rennsport Reunion V at Laguna Seca in 2015, making it the biggest three-day gathering in the event’s history. This year’s gathering will feature champion Porsche drivers including Hurley Haywood, Derek Bell, and Jacky Ickx, and 13 current Porsche Factory drivers, including 919 Hybrid EVO driver Timo Bernhard. The event also highlights legendary Porsche engineers, including Norbert Signer and Hans Mezger, two of history’s most influential race car creators. Along with an impressive collection of Porsche cars, Rennsport will feature multiple autograph sessions, on-stage interviews with legendary drivers and Porsche executives, engineering and design seminars, as well as various games, giveaways, and meet-and-greets around the Porsche Park in the Paddock. Thousands of members of the Porsche Club of America (PCA) will bring their prized Porsche cars to race and display in the 1,600-car PCA member corral. Along with daily PCA member parade laps, PCA Club Racing will have its own run group, capping off with Sunday’s finals. Linking the rich history of Porsche cars to the future of e-mobility, the 356 “No. 1” Roadster will make an appearance along with the all-electric Concept Study Mission E at Porsche Rennsport Reunion VI, September 27 – 30, at WeatherTech Raceway Laguna Seca. The “No. 1” will be in the Porsche Paddock Hospitality area while the Concept Study Mission E will be shown in the Porsche Exclusive Manufaktur area located on-site at the world-recognized Monterey, California-area race track. Other displays include more than 1,300 cars in the Porsche Club of America corrals and 70 significant race cars in the Porsche Heritage tent.